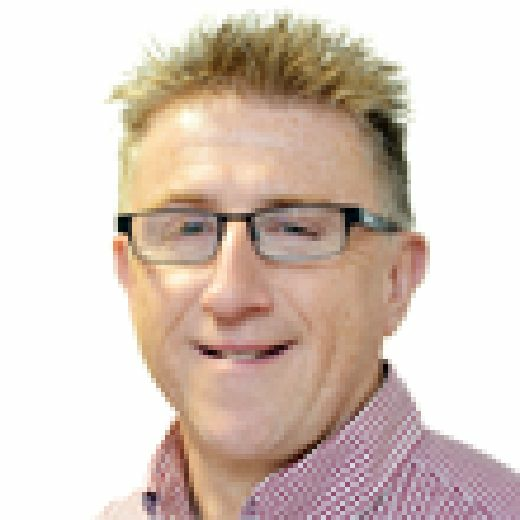 Despite 10 changes and letting a 2-0 lead slip, a youthful Mansfield Town made it 13 games unbeaten with a last gasp 3-2 home win over Scunthorpe United in this final Checkatrade Trophy group game. The result saw Stags win the group to secure a home draw in the next round while Timi Elsnik’s 90th minute winner also saw Scunthorpe drop out the top two and hand progress to Lincoln City. 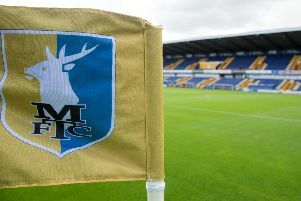 Just when Andy Dales looked to have earned the Iron a draw with an 89th minute equaliser, Stags stormed to the other end of the field Timi Elsnik lobbed home the winner to cheers from the second smallest home attendance ever for Mansfield – 928 fans. A goal on his full debut by Nyle Blake had Mansfield ahead at the break and Calum Butcher made it 2-0 early in the second half. But Scunthorpe created a lot of chances, with the Stags defence and Conrad Logan asked many questions, and they finally pulled one back through Yasin Ben El-Mhanni on 73 minutes to set up the thrilling finish. All Stags youngsters impressed with Alistair Smith particularly eye-catching in central midfield. They were all backed professionally by the senior players, who all grafted hard to make sure the run went on. Mansfield made 10 changes with only central defender Ryan Sweeney in the side from Sunday’s FA Cup tie. There were three full debuts for wing back Blake, Jason Law and midfielder Alistair plus starts for fellow youngsters Jordan Graham and Lewis Gibbens. Boss David Flitcroft also named a very youthful bench with just three seniors pros on there. The Scunthorpe side also showed eight changes from Saturday, with just Cameron Burgess, Rory McArdle and Lewis Butroid remaining in the starting XI. Stags began the night 4-3-3 with Law at right back and Blake and Graham flanking Rose up front. Amid an almost silent atmosphere, Scunthorpe were first to threaten on five minutes when Blake lost the ball near the right corner flag and Butroid drilled a low ball across goal where Wootton was inches away from turning home. Wootton fired wide of the the goal from the right a minute later. Stags began to get into the game and Elsnik had a deflected shot fly comfortably to keeper Flatt. A mistake on 13 minutes by Elsnik let the visitors in with Dales breaking away, Logan blocking his finish and Gibbens doing really well to get in the way of Wootton’s follow-up. Then Humphreys was too high from 18 yards for the Iron. On 20 minutes Lewis tried to catch Logan out with a curling free kick aimed to beat him at his near post, but he was alert to turn it round. Instead Stags were ahead on 21 minutes. Blake was allowed to run to the edge of the box and his shot took a huge deflection to beat the unlucky Flatt. On 26 minutes the Stags goal survived again as Logan saved a powerful Ojo blast with Wootton deemed offside as Logan tipped over his dipping follow-up header. Another United attack saw Rose back making a good clearance just in front of goal, the ball reaching Wootton who pulled a low shot wide. Then a Ben El-Mhanni shot was deflected but flew straight to Logan as Stags went in ahead. United almost made a perfect start to the second half as Dales came inside from the left and saw his 20 yard shot cannon back off the bar. A minute later Ben El-Mhanni let fly from the same distance and Logan had to turn it over as the visitors made a front foot start to the half. Goalscorer Blake made way for Benning on 52 minutes as Stags went three at the back. And Mansfield doubled their lead on 53 minutes. The visitors cleared a ball into the box as far as Elsnik who sent a fine pass to Butcher, just inside the box in a central position, and he delivered a calm, accurate right-footed finish to the right of the keeper. It should have been 3-0 on 56 minutes as Graham’s excellent ball across the box gave Rose a clear sight of goal, Flatt getting himself in the way to block. A mazy run by Dales bought him acres of space on 64 minutes only to see him pull his low finish wide from 12 yards. Burgess was booked for taking out Graham on 66 minutes. There were chances at both ends as Logan saved well to his left from Humphrys’ potshot and then Graham fired over as Benning’s decoy run to his left created the space. However, the Iron were back in the contest on 73 minutes as Ben El-Mhanni tried his luck just outside the box and saw his shot take a deflection and loop past Logan. Logan was down again seconds later to hold Ojo’s long range shot, then Humphreys was too high as the visitors searched for an equaliser. Former Leicester youngster Fielding was given his Stags debut with a with four minutes to go in place of Rose. But on 89 minutes the visitors were level as defence-splitting pass down the centre found Dales, who slotted coolly under Logan. However, a minute later the Stags edged back ahead as Elsnik burst into the box on the right and lifted a finish over the keeper which Pugh, in trying to clear it, could only help it into the net for a glorious late winner. STAGS: Logan; Atkinson, Sweeney (Preston HT), Gibbens; Law, Elsnik, Smith, Butcher, Blake (Benning 52); Rose (Fielding 86), Graham. Subs: Olejnik, Bircumshaw, Godden, Sinclair. SCUNTHORPE: Flatt, Ojo, Horsfield, Humphrys, Dales, Lewis (Pugh 86), Ben El-Mhanni, Burgess, McArdle, Wootton, Butroid. Subs: Alnwick, Borthwick-Jackson, Perch, Colclough. REFEREE: Ross Joyce of Cleveland. CHAD STAGS MAN OF THE MATCH: Conrad Logan.